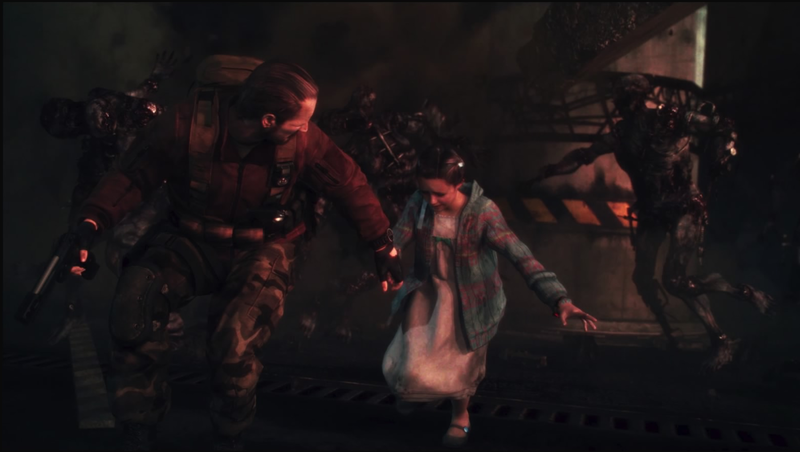 Another week, and another episode of Resident Evil Revelations 2 descends upon us. This is the third entry of a planned four-part series. The “season,” as it were, has been consistently entertaining. So it stands to reason that this entry is likely to do so as well, right? Yeah, pretty much. In Judgement, the main characters and plot have been established. By the time the credits roll for this chapter, some questions have been answered, with only a few left to achieve closure. The plot does dip into campy territory, with one sequence involving Neil, which you see occur remotely, featuring particular cheesy dialogue. There is a little more length to Judgement than preceding chapters. This largely has to do with the inclusion of more puzzles; they actually require you to stop and think for more than a few seconds, which is a nice change of pace. When you consider that most of these are, in true Resident Evil spirit, deadly puzzles, the series has thankfully returned to form. Emblems are well-hidden, and pacing is decent. Once again, you’ll want to experience this game with a friend in co-op. The AI doesn’t seem to have been touched, so don’t expect much help from the computer unless you’ve upgraded their skill to shoot enemies. Save for one very short session, you’ll be constantly switching characters to complete the game, which hinders your progress somewhat. The same criticisms that have been with the series from the start are here again. Seeing as the game engine remains unchanged, the cinematics are still pretty disappointing. There are two enemies that show off more detail than others, but otherwise it’s the same graphics we’ve seen the entire time. Audibly, the game is as grotesque-sounding as ever. There are few things as unsettling as the sound of sloshing around in blood. If you’ve already got the season pass, you’ll enjoy your run through of Judgement. If you haven’t been convinced to play any episodes by this point, then you may want to wait until the retail disc release. At any rate, it appears Capcom knew what they were doing when they went with the more unconventional route of episodic gaming. As it stands now, we can’t wait for the final chapter to finish up the story.